This is personal finance 101 and absolutely, 100% necessary if you want one parent to be staying at home. It’s just how the numbers work out. You’ll be losing a big chunk of your combined income, so you will only be able to live on what’s left. If you’re lucky enough to know you want to be a stay at home mom ahead of time, then you should stop spending every single penny of your income immediately. Because that is the situation you’ll be in for the next few years…if not forever. While this step is pretty obvious, it’s still easier said than done. You will need to make a lot of sacrifices and change the way you spend your money. The good news is that once you become a stay at home mom, you’ll be in a position to focus more energy on saving money and will find yourself in a community of other women that are all trying to do the same thing. Cancel your gym membership. Don’t stop exercising, just find ways to do it at home. Aside from desire and family buy-in, this is the #1 factor that will keep you from being able to afford being a stay at home mom. Your mortgage (or rent) is most likely your largest monthly bill and too often it is so large that both parents need to be working. This is one of the worst societal norms that we’re exposed to and it’s due almost entirely to mortgage pre-approvals. A mortgage pre-approval is the amount of money a bank is willing to loan to you. It is the most they will give you. It is not what you should borrow. What you need to do is borrow half of that. That will ensure that you can actually afford the monthly payments on one income, which (at least in the beginning) is the reality you will be facing if or when one of you leaves the workplace. And if you’re already stuck with a mortgage that requires two incomes, you’ve got two options: sell and move to a smaller house or refinance for a monthly mortgage payment that is smaller. This sounds extreme, but it could totally be worth it! Remember – becoming a stay at home mom is a lifestyle adjustment, so it may take other lifestyle adjustments to make it happen. If you are only going to be earning one income then you should look at ways to save when that time comes. This could entail getting baby equipment second-hand from friends who have had children, cutting back on luxuries that aren’t required, etc. You may even consider getting an au pair so you don’t have to pay for a cleaner, babysitter or a tutor. If you have room in your home to host them then they can be a great way for you to save money as you only need to pay pocket money. People become au pairs for a variety of reasons. It allows them to learn English better, experience a new culture and lets them travel, to name just a few so if this sounds like something you’d be interested in then you should look into places like Cultural Care Au Pair. If you’ve purchased a home on half of your combined income and you haven’t left the workforce yet, use the other half to take out an additional mortgage for a rental property. As long as you do your research and find good tenants, their rent will cover the mortgage payments. 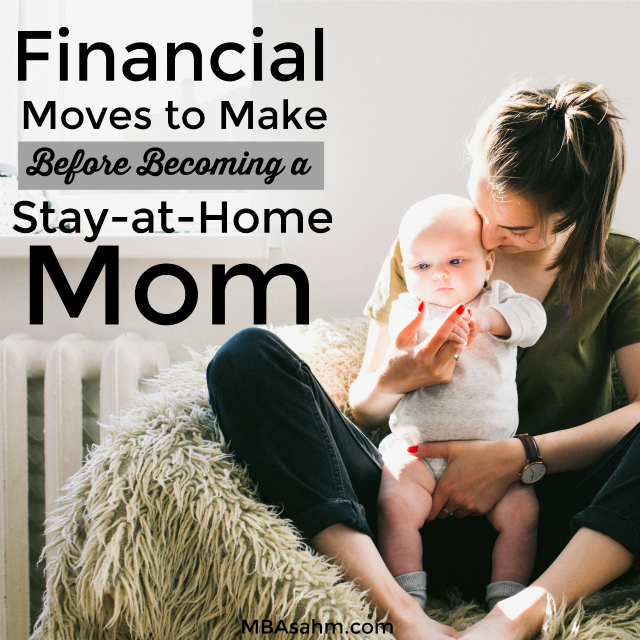 The reason you need to do this before you become a stay at home mom is because once you leave the workforce, you more than likely won’t make enough (combined) to qualify for another loan. And of course, the reason you need to do this is because it is one of the best long-term investments you can make – think of college for your kids, early retirement, or even just cashflow down the road. The money you invest in your early years is going to be worth far more than the money you invest later in life (because of compound interest). So do whatever you can to save money before you leave the workforce. This includes taking advantage of each and every company match that your employer may offer. These matches not only push you to save in the first place, but they’re basically free money! Just because you’ve been given 15 years to pay off your student loans doesn’t mean that’s how long it should take. And if you really want to be a stay at home mom, then you need to try and minimize your monthly expenses. So seriously try and focus on getting yourself out of debt. It will completely change your life (almost as much as becoming a stay at home mom in the first place!). 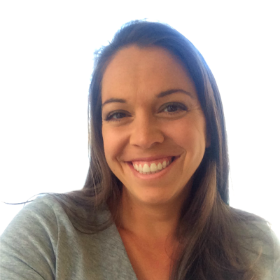 When you make the decision to become a stay at home mom, you need to give up your 9-to-5 job, but you don’t need to give up your entire career, and you certainly don’t need to stop making money (and you shouldn’t). It may change, it may stall, and if you make the decision, it could fade away forever, but that’s really up to you. But regardless of the money or ability to jump back into the workforce one day, what really matters is that you will most likely be much, much happier if you continue to do something for yourself that either generates money or furthers your professional goals. 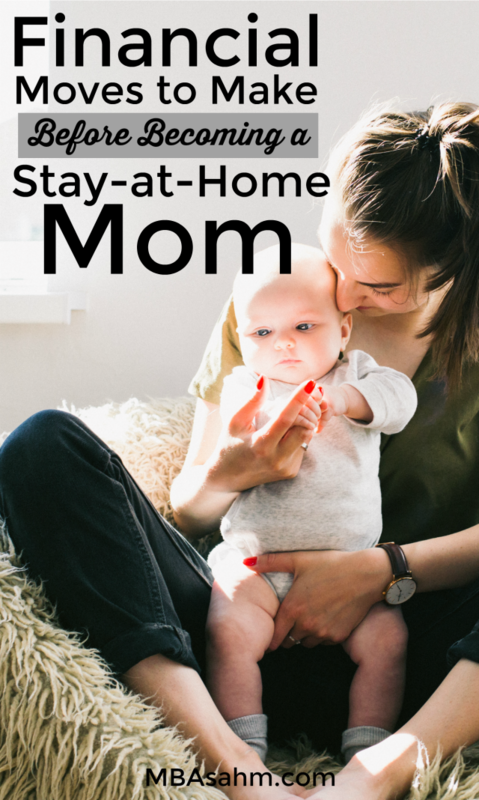 Now, just to be clear, once you make the SAHM leap, you will enter a world full of stay at home mom money-making opportunities, both online and from home. Some of these may be perfect for you and you’ll kick yourself for not starting sooner (that’s how I started this blog!). But since you’re planning ahead anyways, you have an amazing opportunity to have something ready for yourself once your SAHM life begins. Talk to your current employer to see if you can continue working remotely for 5-8 hours a week. Don’t promise more than that. You can always take on more. Try to think of 1 or 2 important tasks that you already do that you can continue doing from home. They may be excited by the idea! Health Savings Accounts (HSA) are not talked about enough and I have no idea why. (If you’re new to HSAs, they are accounts that can be used solely for medical expenses that insurance doesn’t cover…copays, prescriptions, etc). When my first child was born, we were blown away by the things that weren’t covered by insurance (and that was with a run-of-the-mill pregnancy). It really hurt us financially and marked the moment we started investing in an HSA. Since then, our HSA has come in handy more than you can imagine. For single-income families, this is even more important because you will be more sensitive to unexpected or unplanned expenses. HSAs will help smooth that out, so if you have a chance to contribute to one before you make the leap, do it! You may also be able to take advantage of company matches, which is free money! When you stop working for a company, you lose access to 401K plans, so you will want to set up an IRA for yourself. There is an annual limit on IRA contributions, so you want to start contributing as soon as you can. If you and your spouse can reach the limits each year, you’ll thank yourselves in retirement! By opening up an account, you are holding yourself accountable to make contributions to it. It’s the first step towards retirement saving, and by far the most important! Even if you’re only able to setup an automatic deposit for $25 a month, you will be blown away by how fast it grows! These are the kind of habits that are critical for successful (and less stressed) stay at home moms, so start building good habits now. Just like with the IRA, 529 accounts are really important to setup, especially if you’re relying on one income. You will want to help your kids with college. So start saving now! 529s give you a tax shield, so it’s the best way to save money for them. And again, if you want to become a stay at home mom, it’s really important to get into the habit of saving. I started with this in the beginning and I’m going to end with it – you need to live below your means. If you were good living below your means with 2 incomes, then you’ll probably be able to do it on 1. If you struggled on 2 incomes, then you’ll probably still struggle with 1. But if you’re able to do the things I listed, you will be helping yourself out tremendously. The last thing you want is to be worrying about money. And of course, don’t make the mistake of thinking that SAHMs can’t make money. I spend a lot of my time researching, finding, and implementing different ways that stay at home moms can make money from home! Not only is it possible, it can often be more lucrative than the crappy job you left. Completely agree with your points in this article- but the one that completely resonated with my particular situation is living below your means (or learning to live on half an income). I became a SAHM really by luck -I was expected to return to my career but, as luck would have it (and God listening to a TON of our prayers) we figured out a way to make it work- my husband just said- let’s try to do this! So three years ago- that’s what I did. It’s been the most amazing time of my life that has gone by way too fast. I believe, just like with anything, if it’s something you really want- you should go for it!